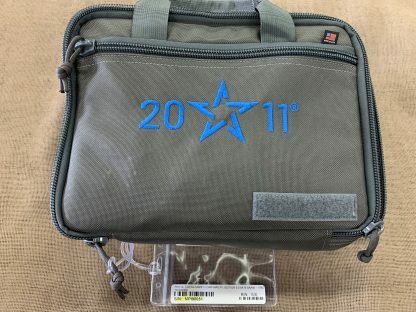 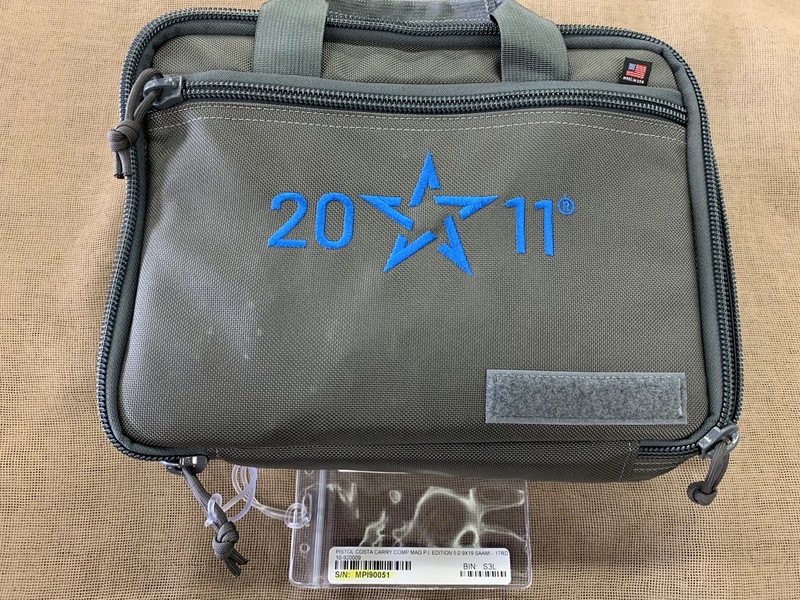 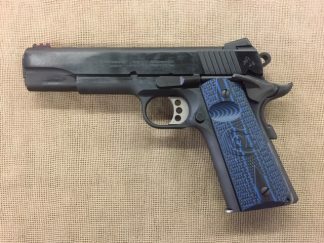 New STI Model 2011 Costa Carry Comp MPI 9mm auto. 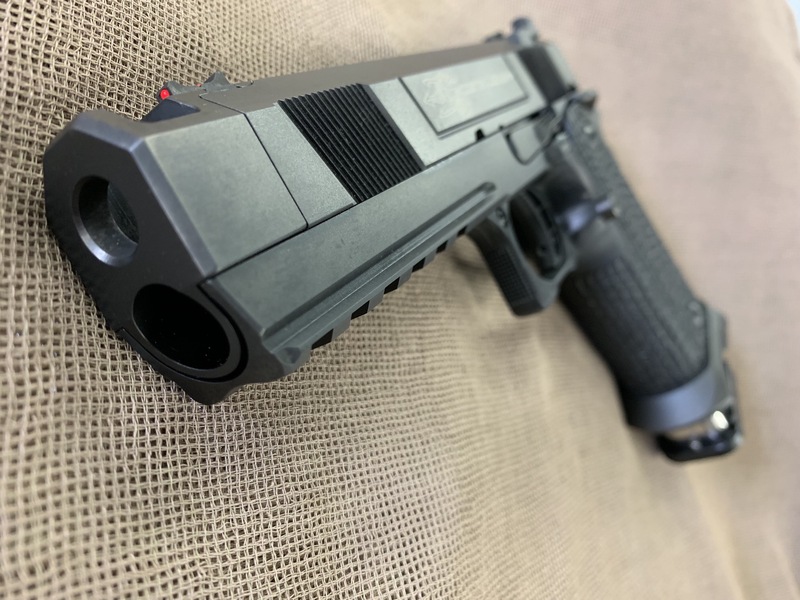 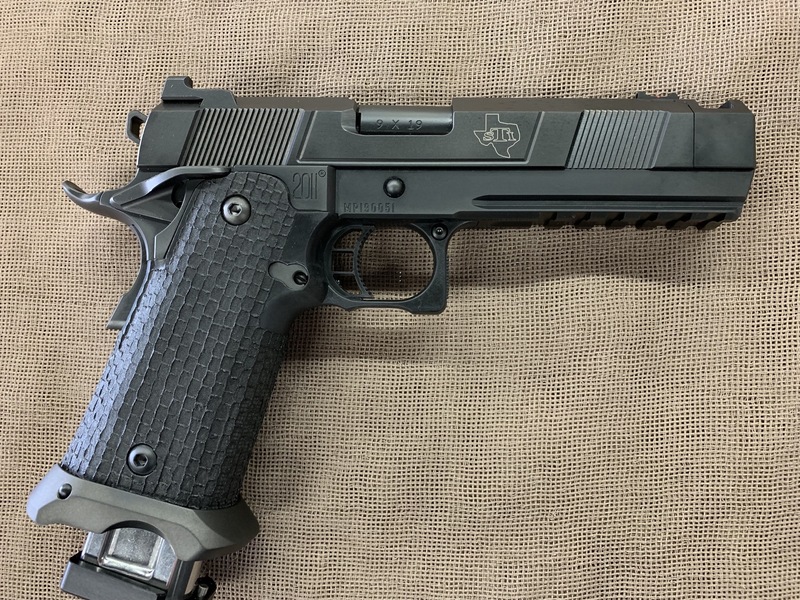 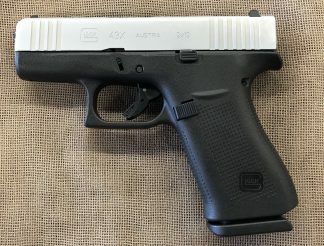 21+1 capacity, two magazines, 4.15″ match grade stainless island barrel fitted with an extremely efficient compensator for an overall 5.1″ slide length similar to Government model. 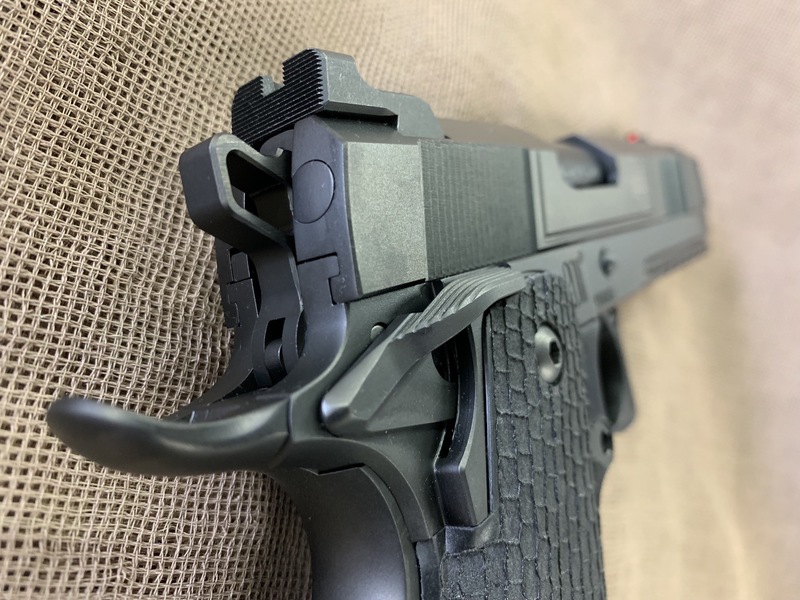 Comp reduces recoil by 63%, and in conjunction with the STI RecoilMaster dual recoil spring, STI has created one of the smoothest recoiling centerfire pistols on the market. 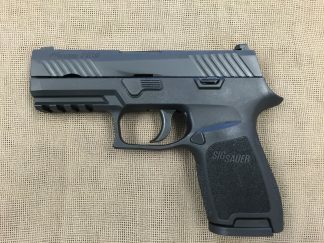 Unique tri-cut profile slide with front serrations, fixed rear sight with fiber optic front island sight (mounted directly to barrel and comp). 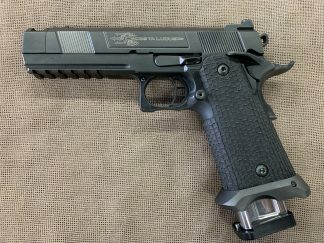 Steel frame with full length accessory rail, 3.5 lb trigger, ambidextrous safety and unique treebank stippled grip with beveled magazine well and black Diamond Like Carbon overall finish. 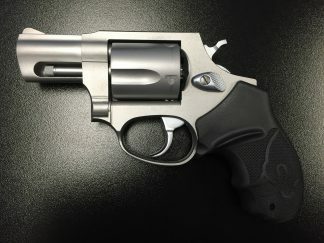 This version of the Costa Carry Comp is a special edition (100 in 9mm, 100 in .45) as used in the Magnum PI television series. It differs from the regular two tone FDE CCC by having a black grip frame, unique serial number range and the newer single port compensator sans the side ports. 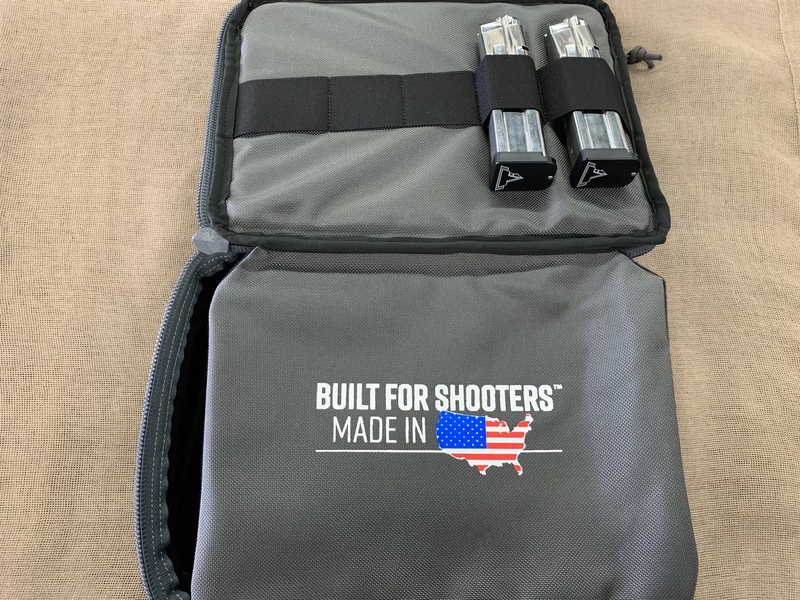 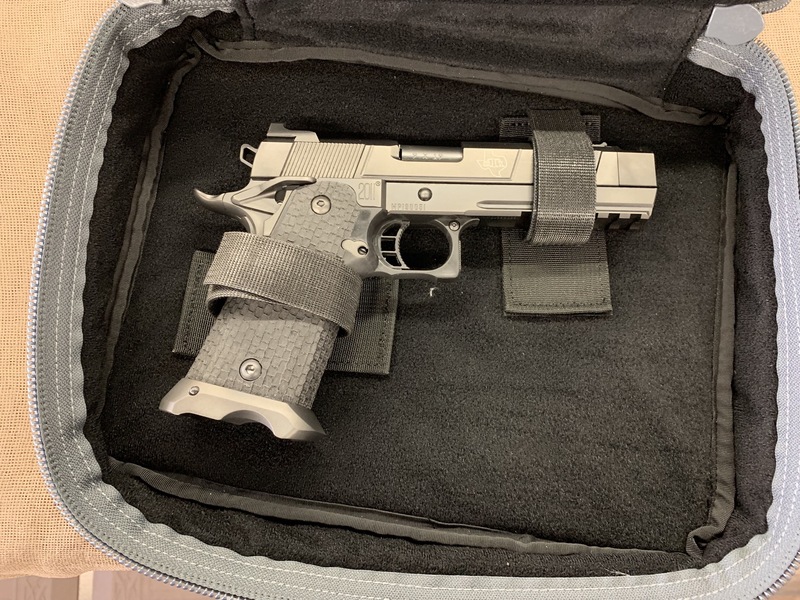 Soft pistol case along with STI’s lifetime warranty round out one of their most innovative and interesting firearms to date.